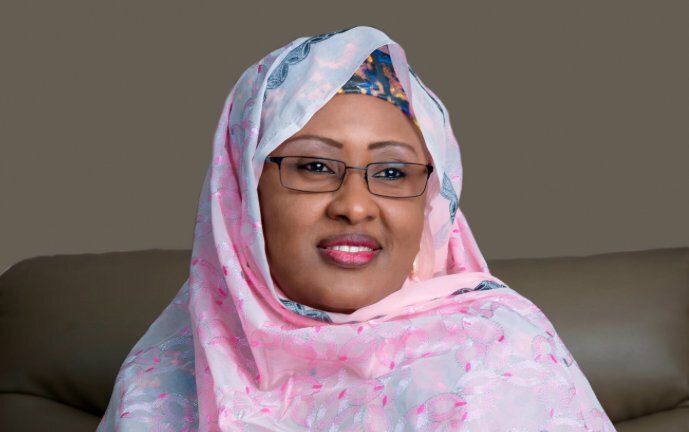 The wife of the President, Mrs. Aisha Buhari has revealed her son, Yusuf is in stable condition following the ghastly motorcycle accident he had on the 26th of December. Aisha took to social media to thank Nigerians for the prayers offered for her ailing son, Yusuf who last year around Gwarimpa, Abuja was involved in a ghastly motorcycle accident while allegedly drag-racing.. He sustained a head injury and broken limb. According to a message posted on her Instagram page, @aishambuhari, Mrs Buhari thanked all Nigerians for their prayers and also the medical team whom she said ensured that Yusuf remained stable while receiving treatment. Minister of Health Prof. Isaac Adewole, she noted, headed the medical team attending to her son. The message read: “On behalf of my family, I will like to thank well-meaning Nigerians for their prayers in the past weeks. “Special thanks to the team of doctors and specialists who have worked tirelessly to ensure that my son, Yusuf remains stable, most especially Nurse Eze Doris Eberechukwu of Nisa Premier; the medical team chaired by the Honourable Minister of Health, Prof. Isaac Folorunsho Adewole; the team of neurosurgeons, Prof. Temitayo Sokunbi; Prof. B.B. Shehu; Dr. Biodun Ogunbo and Assistant Prof. M.Raji Mahmud; the team of orthopaedic surgeons, Dr. Felix Ogedengbe and Dr. Akinola; the intensivists, Dr. Simon Esangbedo; the personal physician to the President, Dr. Suhayb Sanusi; my personal physician, Dr. M. Kamal and the nurses have all ensured that he remains stable while receiving treatment.